This giveaway is now closed. 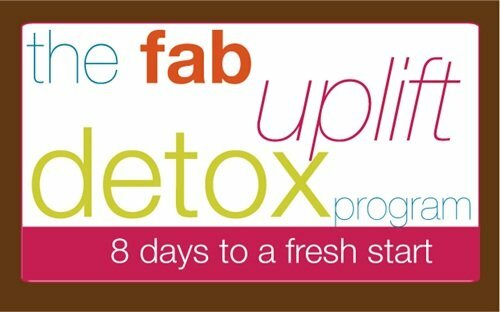 Congratulations to Mary Horowitz, she won the Fab Uplift Detox Program. To sign up for any of Meghan’s nutrition programs, and to see her great recipes, visit Meghan’s blog, Making Love In The Kitchen. Even when we know the right things to do- it is so easy to get derailed by the busyness of everyday. Suddenly that time when we can eat the best food possible, look and feel amazing becomes some foggy lensed vision of the way off magical time in the future when we have all the hours in the world. Well, the adorable Ms. Meghan Telpner, the Toronto-based nutritonista you may know from her blog Making Love In The Kitchen is here to the rescue. Extra sweet incentive: At the end of the cleanse, send in a before + after on how you feel or a general testimonial and you will be entered to win some of our most fave detox goodies from some of our most fave detox loving brands. To note, participation in Meghan’s Detox is valued at $79, though if you register on Monday, November 7th, the cost is just $69 and you can live anywhere in the world to participate. You can get full details on the program over on Meghan’s website. Now, for a chance to win a spot in The Fab Uplift Detox Program, simply leave a comment below and tell me your favorite healthy food. This giveaway is only open for a few days. The winner will be chosen on Thursday, November 10, 2011. So comment now to enter! My newest favorite healthy food is kale chips! YUM!!! tofu! there are so many different things to do with it, and although cliche, it really is one of my favorite healthy foods! My favorite healthy food is winter squash. It’s amazing topped with coconut butter and sea salt. in season, seasoned baked-to-a-crunch winter squash seeds, acorn squash works well. Wow, what a great prize – I’d love to detox but wouldn’t know how best to so this would be great! My favourite healthy food is probably either coconut butter – or broccoli! wow what a fun idea. i know a detox would help me kick the sugar craving, but i don’t think i could do those dates since that is marathon weekend. bummer! Right now, my favorite healthy food is almond butter. Mmm! Thanks for this chance to win a spot in Meghan’s class. Quinoa….there’s soooo many ways to use it! So many foods come to mind, but right now my favorites are avocados and ground flaxseed, but not together (at least not yet)! My favorite snack is tahini drizzled over raw cauliflower with a sprinkle of himalyan sea salt! My favorite healthy food???? What to choose….for this week , I’d have to say garbonzo beans….blended with nut butter, vanilla, and a little honey to make cookie dough dip…delicious and satisfying!!! Thanks for the opportunity to win the detox! I love almonds! Just love them. Usually soak overnight, and then tuck in. The hardest part is controlling myself and not overdoing it, so I limit myself by only soaking as many as I think it’s appropriate for me to eat at any one time (big handful usually). How can I be limited to just ONE favorite healthy food? I might have to choose two…for breakfast, steel cut oatmeal, and for dinner – bring on the kale! My favorite snacks are apples, green smoothies, and almonds. Simple but yummy. Thanks so much for the great giveaway. My favorite food of late – is from Rip Esseltyn’s Cookbook, the Engine Type 2 Diet – Kale Butter! I actually call it Kale dip – great on a Van’s Gluten-Free Vegan Waffle or with veggies as a dip. My go-for-green treat! Oh – forgot! 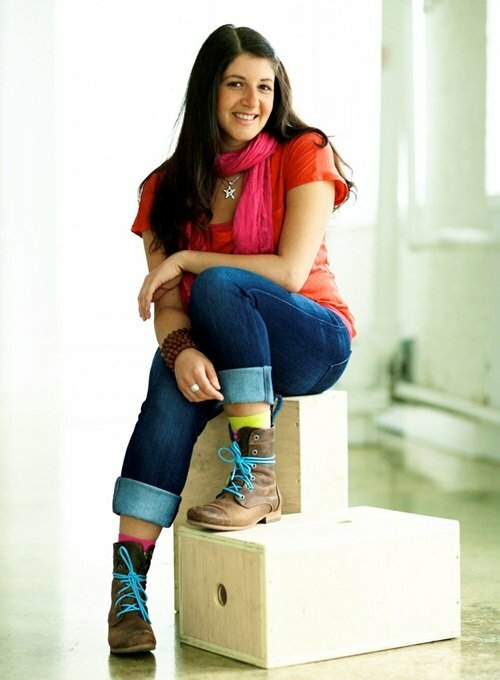 I love Meghan – I’ve been following her blog for a few years now – would love to meet her in person someday! One of my fave healthy foods is eggs. I cannot stop eating them! It’s probably been 4x a week for the past 8 months! Ah! My favorite healthy food is avocados! Now, one healthy food I adore is oatmeal, amazingly delicious, I love oats in all forms! Baked sweet potato topped with almond butter and cinnamon. Best dessert ever! Or breakfast, too. Avocado & hummus – not necessarily together! This giveaway sounds like just what I need!